what different at Etihad than the one for Harvey in Perth last week. Fyfe for Freo seems to have made an amazing recovery from a shoulder injury and is expected to play. The Dockers find it hard winning in Melbourne and although both teams are only separated by percentage the tip has to go the Saints’ way. Fremantle’s winning percentage in Melbourne is miserable and they find it hard to beat teams there. Both teams are at 2-1 so the game will be a good indication of where they stand although Freo’s win against Geelong was of the higher order. Both teams have a strong following so you can expect a decent crowd but Bomber fans know deep down that they don’t have the experience or the talent to beat Carlton at the moment. The Blues’ midfield is really generating opportunities up forward and Eddie B is loving it. The Bombers might be looking at Anzac Day against Collingwood rather than this game against Carlton. Expect a close first quarter, both sides pumped, old foes. Class will tell out after that. The off field problems at Collingwood won’t help their cause but the Pies have some significant injury problems which they had been lucky enough not to have had for the previous 2 years. They have to beat Port Adelaide surely regardless of the Power’s improvement. Surely? Latest news that Shaw and Thomas are both out for Collingwood is the best news Port will get for a while. The Crows might have lost last week against the Hawks but you will see an amazing turnaround this week. 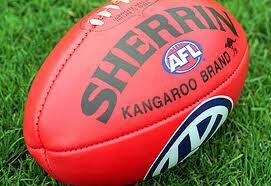 Adelaide supporters will be attending in droves to see their team slaughter newcomers to the AFL – the Giants. This is a long term plan by the AFL but some of these defeats have to hurt. Not a lot more you can say about the game. Crows will win. Pencil in your tip. Actually it’s safe to use the biro. This is no doubt the match of the round as both teams are making claims to finish in the top 4 and possibly go that one step further this year and reach a Grand Final. This meeting is early in the season so a loss to either side is no big deal. West Coast will be hard for even Hawthorn to beat at home and on the basis of it being a home game the tip favours that side. Priddis back in for the Eagles helps favour the tip their way. The Suns played really well against Essendon last week and Brisbane has been woeful in their past 2 games. Brown will be better for his first run last week but the losses of Black and Leuenberger will hurt the Lions. Who do they have to keep Ablett under his average of 40 possessions a game? Expect the game to go down to the wire. Never tipped the Suns last year but maybe this has to be my weekly cute one. Admittedly the Tigers are doing okay but meeting Geelong at home makes it tough to tip them to win. Don’t even look at the result in the pre-season when Richmond flogged the Cats. It doesn’t count. It’s also hard to see which Richmond players will stop the Geelong forwards from kicking a winning score. Have to stay with the Cats. Even when Geelong lose they kick a reasonable score. Richmond’s Reiwoldt has been in very ordinary form and thanks to an emerging centerline the Tigers kicked a reasonable score against the Demons in spite of Jack’s form. The Richmond backline will need heavy artillery to stop the Pod , the Hawk and Johno. Tipsters can’t fault Sydney’s form, they’ve won every game. The loss of Goodes in what is expected to be a tight match might be the difference. North are flying high after that great win against Geelong last week and they won’t want to lose momentum. It could be a draw but I am predicting that North will end the winning run of the Swans but there’s only a tail feather in it. The other Josh Kennedy is on fire for the Swans so stopping his drive will be a high priority for North taggers. Ziebell returned to North last week in a blaze of glory and he might be able to slip under the Sydney radar this week as well. It’s a shame there has to be a winner here as both teams are losing so well!! Teams with this sort of form playing each other create a nightmare for tipsters. Of the two teams Melbourne is probably playing the worst but this game of ours can give us form reversals when least expected. Neither team is great at kicking goals but based on the statistic that the Demons are better at conceding more goals the tip will go to the Bullies.